Published Jul 2, 2012 by Peachpit Press. Part of the Learn by Video series. This critically acclaimed training program from Adobe Press and video2brain combines exceptional quality HD video and a printed reference to teach the fundamentals of Flash Professional CS6 as well as the basic principles of rich media design. Structured around the objectives of the Adobe Certified Associate exam “Rich Media Communication Using Adobe Flash Professional CS6”, the product includes 10 hours of video, complete with lesson files. 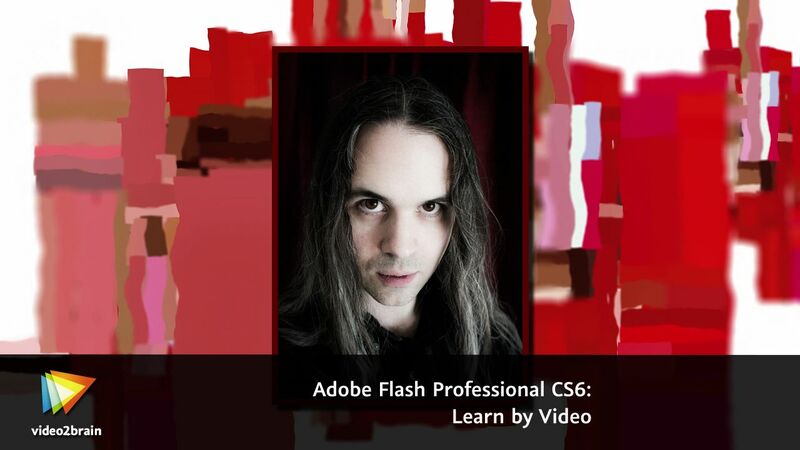 Experienced instructor Joseph Labrecque presents all the foundational features in Flash Professional CS6 through workable examples. The student gains a solid understanding of the tools so they can continue along any path: animation, gaming, application and mobile development, or working with premium video solutions. Joseph starts with a survey of all major application interface elements, asset creation and manipulation, and document properties and file types. He continues with a deep look into the Flash Library and the use of different symbol types across projects to exploit robust animation techniques using the timeline. Next, he explores the inclusion of sound and video, the ActionScript programming language, and application development for mobile devices. Finally, Joseph demonstrates testing and debugging applications before compiling and publishing onto a variety of platforms. 1.1 What Is Adobe Flash Professional? 1.2 What’s the Course About?